The SIM card is the so called micro sized format, this is the intermediate size bigger than the �nano� format and smaller than the �mini� format. Nearly all SIMs are now supplied in a so called triple format which means they can be broken into a nano, micro or mini format. The RT live ONLY needs to use a simple data service, and as such it only needs SIM card that has data services available. 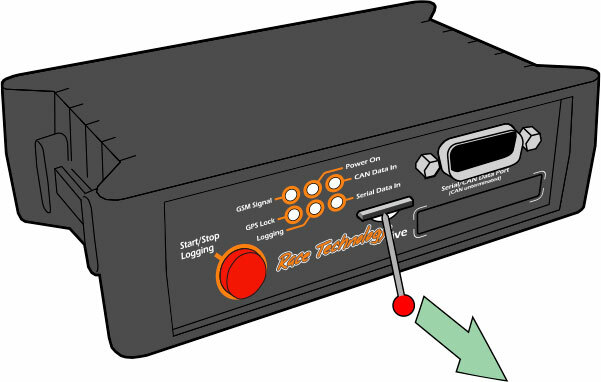 The RT live is based on a GSM module, so the SIM card needs to be able to access GSM data services. The legacy CMDA services are not supported. Data SIM cards are sometimes advertised as 3G or 4G etc, in reality this is not at all relevant as the RT live only has modest data speed requirements, any will work. Its recommended to use a SIM card that is designed for a tablet, these only have data services available and normally work as soon as they are inserted. Sometimes data SIMs are advertised as Machine to Machine, or M2M cards. These are most often used in industrial or commercial applications, such as vending machines. There is nothing special about these cards, and they will work well in the RT Live. For applications where there are lots of unit in use, the advantage of M2M SIM cards is that they normally come with a web management interface so the user can check the charging, data usage, monthly invoicing etc. If the card is designed to work in a phone and also has SMS and voice communication service available then that is not an issue at all, these additional services will not be used. However there is a subtle issue with these cards with regards there activation procedure. Often when they are first inserted the phone will get a SMS explaining how to activate the service, or could even need the customer to make a phone call to activate them. 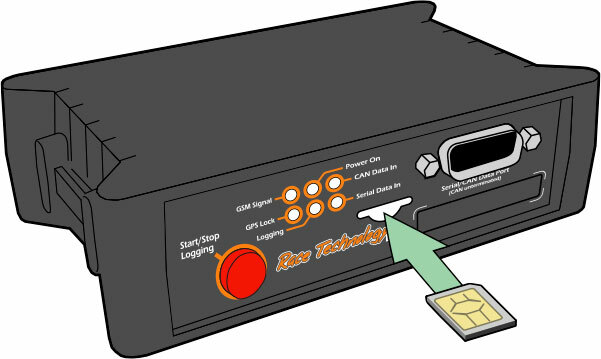 Since the RT live will not get this SMS, or following any activation service is recommended to insert the SIM card to a phone, get it fully activated and working, and then transfer it to the RT Live unit. The APN or Access Point Name is the URL used for a connection to the gateway between your carrier's cellular network and the public Internet. The APN URL depends on the SIM card provider. As well as the APN, there is also sometimes a username and password to allow access. On some SIM cards you need to set all of these, on others you don�t need to set any. Race Technology cannot assist with these settings, that information has to come from the SIM card provider. Another common question is how much data is needed. That depends on the application but its typically in the range of 2 to 10Mbytes per hour. Note that occasionally its needed to get the IMEI of a device. If this is required then please contact Race Technology directly. On RT LIVE units with an accessible SIM card the Micro SIM can be changed. Insert the Micro SIM in the orientation shown, push all the way in. To remove the Micro SIM card use a small sharp tool like a pin or a SIM tool to flick it out from the underside. A small cutout below the SIM card is provided for this.